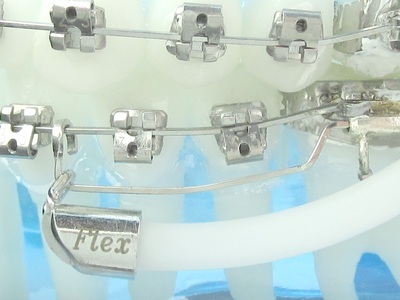 The FLEX DEVELOPER™ is designed to deliver a reliable force between mandible and maxilla. 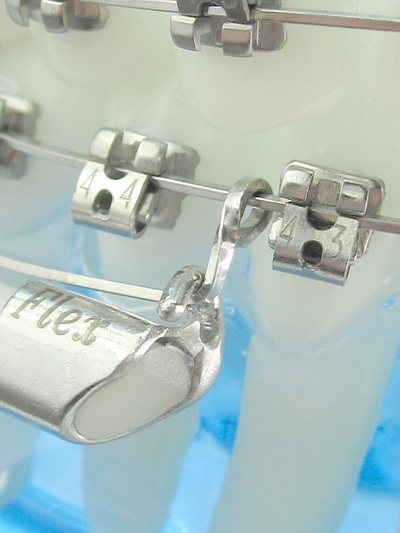 The power derives from an elastic mini rod that can be thinned to enable a range of treatment forces, eliminating the need to order and stock many different forces. The force ranges from 1,000 grams to as little as 50 grams (10 – 0,5 N) and is individually adjusted for the perfect fit for each patient. This one of a kind elastic rod is highly durable, able to withstand the rigorous forces of treatment while maintaining its power and elasticity. 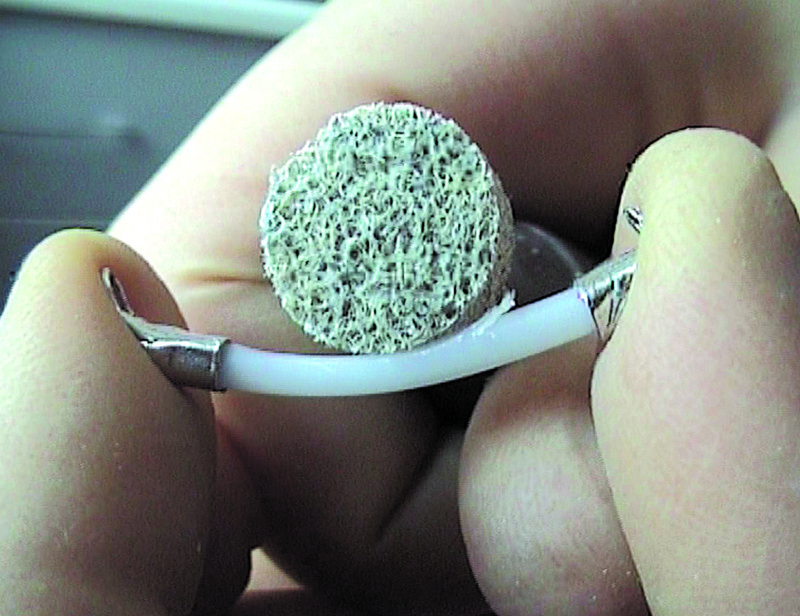 The Flex Developer's™ mini rod was put through an Un test (in vitro). This test was stopped after 2,5 Mio. cycles, as practically no changes in the force deliverance rate could be observed. 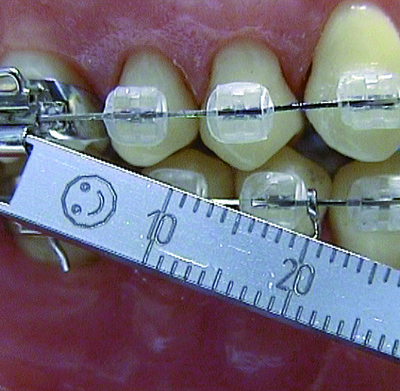 This equals 500 days of treatment time, if a bite rate of 5,000 cycles per day is estimated. Clinical testing proved optimal endurance and strength and has set a new benchmark for inter-maxillary force deliverance. "Even after continuous use for many months there is no breakages or loss of power"
This one size elastic mini rod can be easily shortened and thinned to offer you complete customization of length and force. 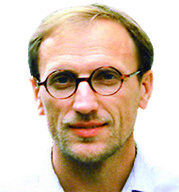 Unique by-pass arch enables the FLEX DEVELOPER to slide back passively without force or side effects.